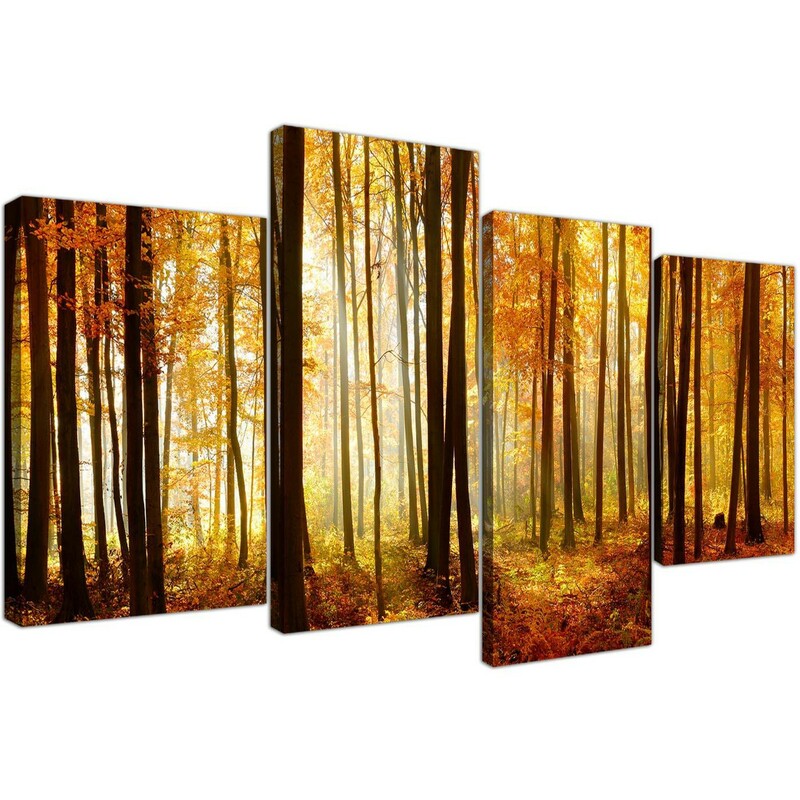 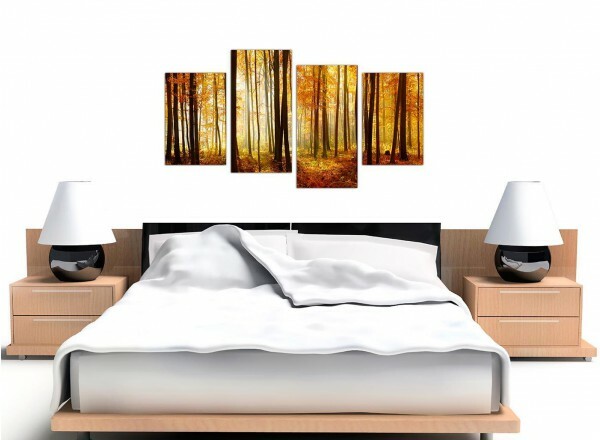 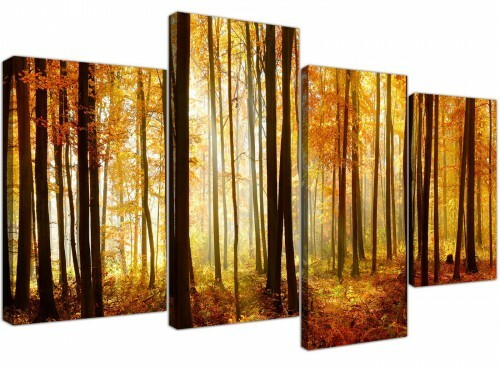 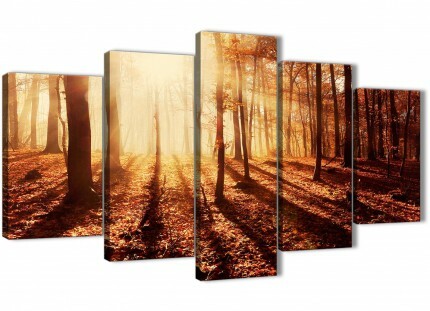 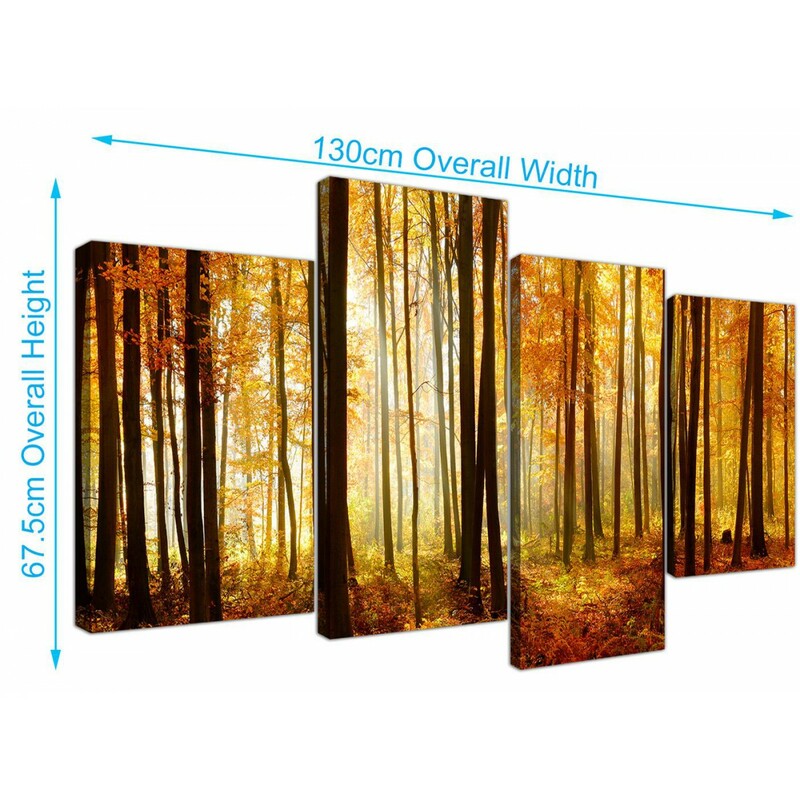 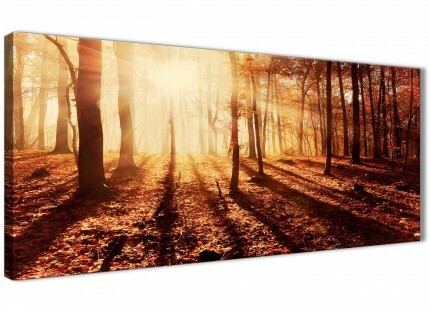 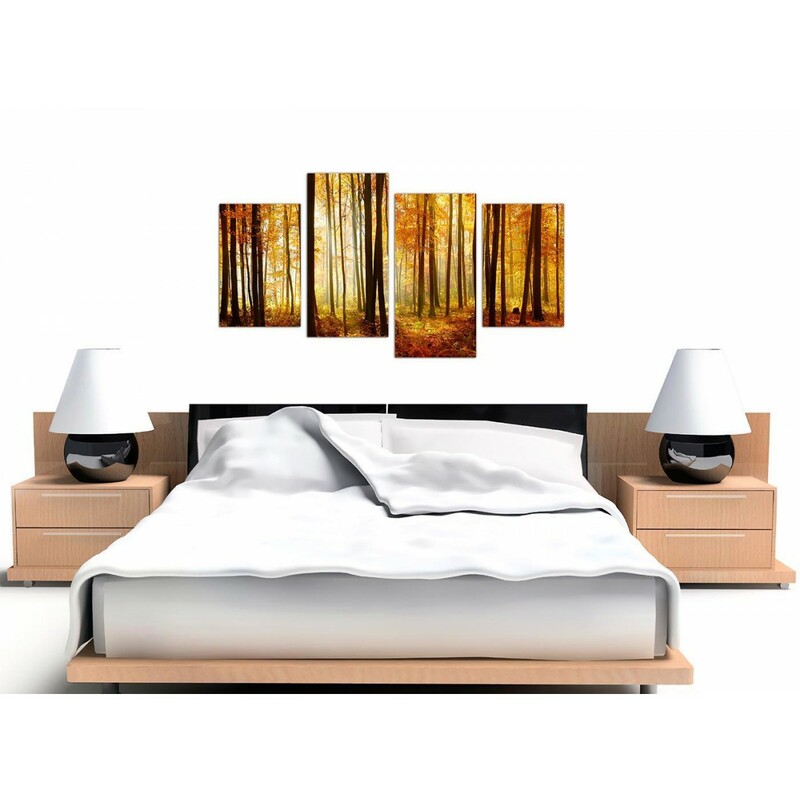 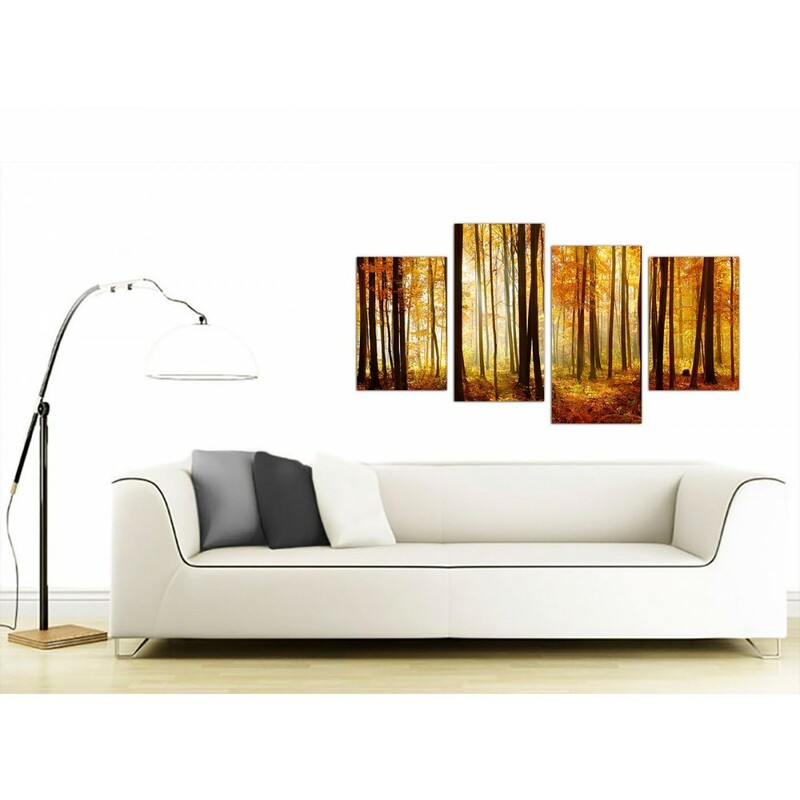 A Beautiful Autumn Forest Canvas Scene. 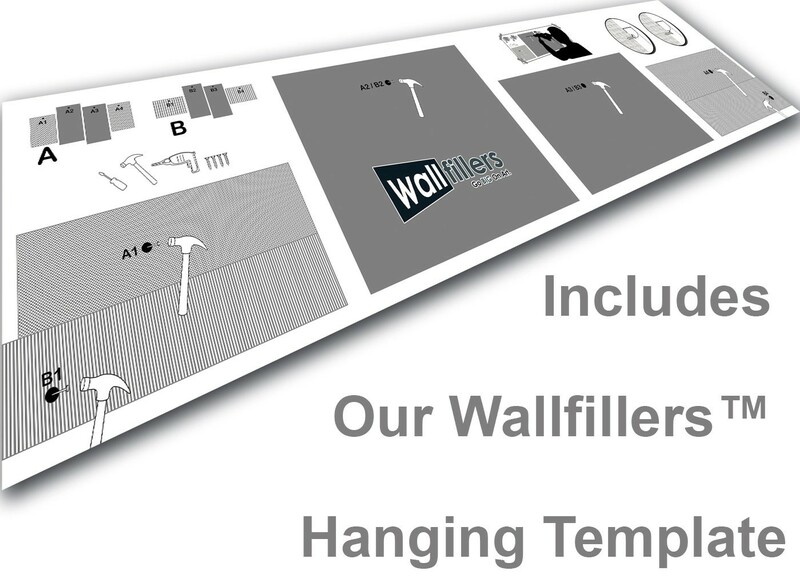 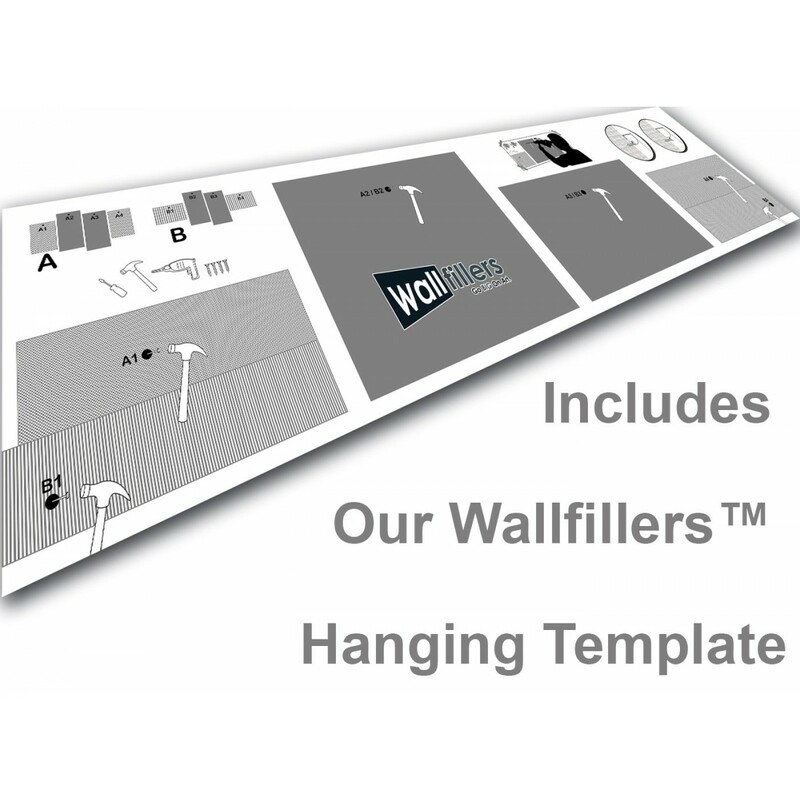 A huge black & white contemporary set of 4 piece wall pictures. 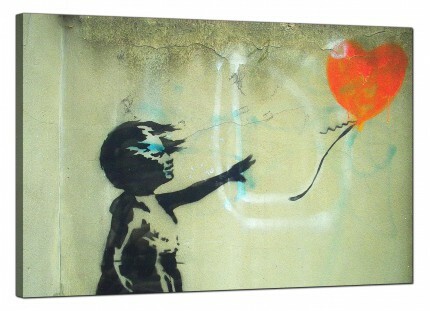 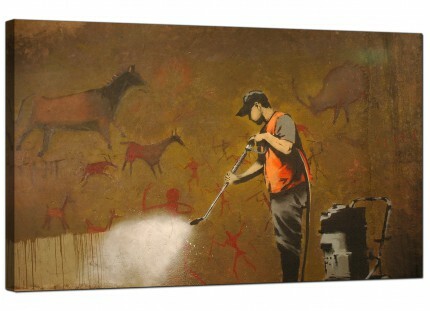 The UK's favourite canvas wall art brand. 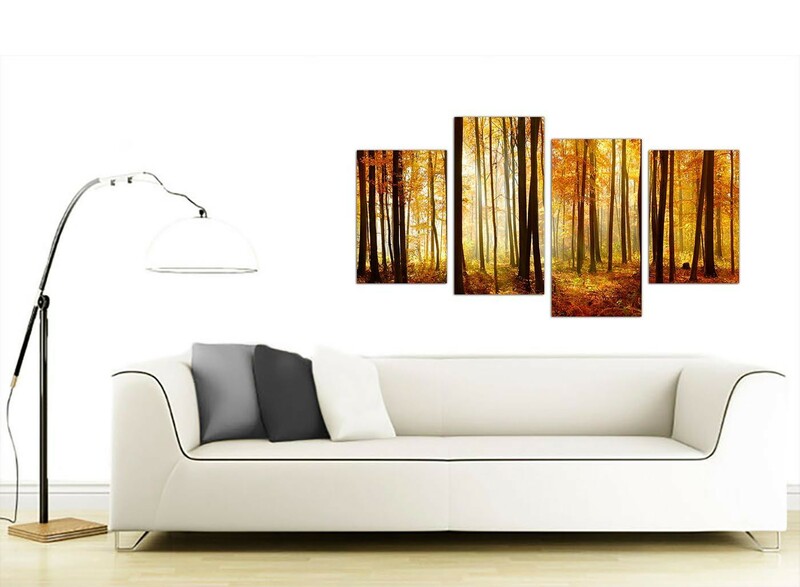 The canvases are made to the highest standards with long lasting inks. Suitable width for above the bed. 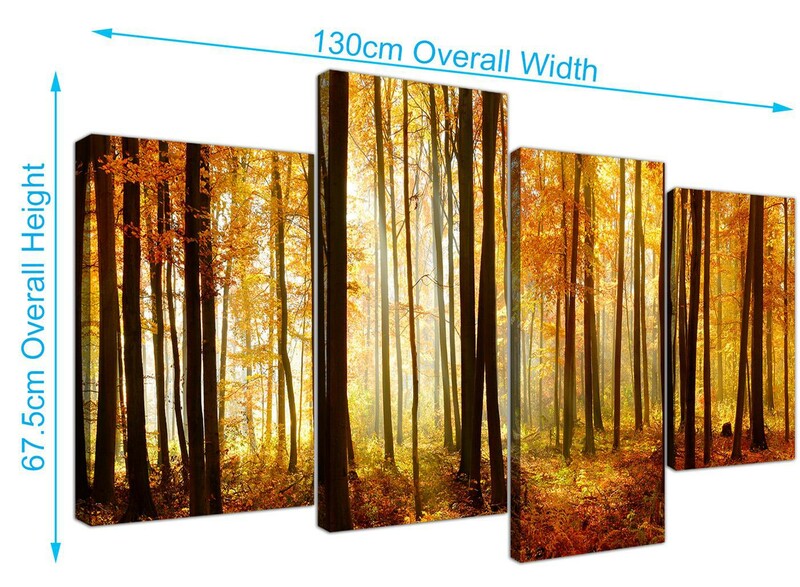 Proportions: 130 x 67 centimetres inclusive of spaces. 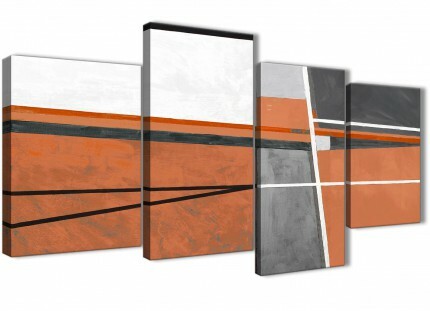 Each of the outer pieces measure 30 x 45cm. 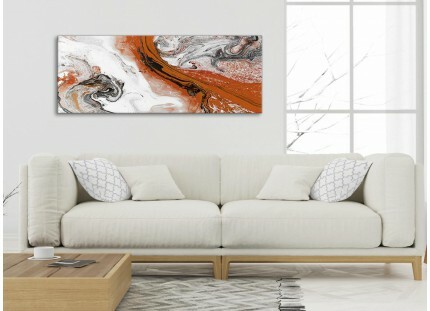 The inner pieces are 30 x 60cm. We advise a gap of 2.5cm between each canvas.